Proposal re-lodged with Liverpool Council. 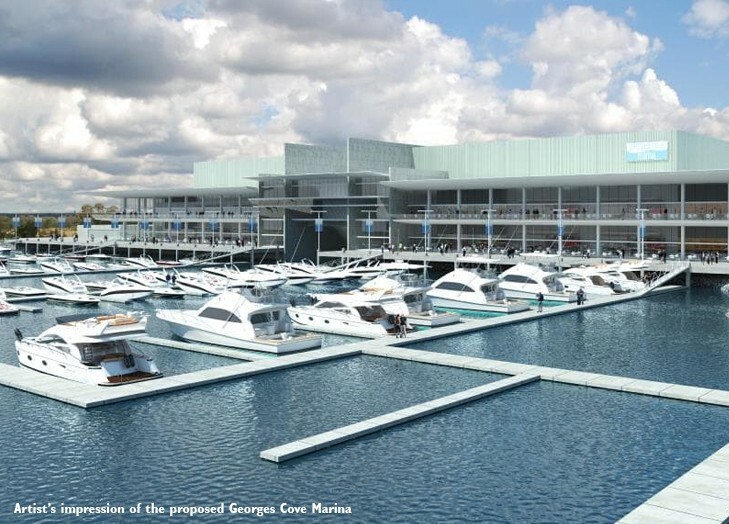 Hope has been reignited for the proposed Georges Cove Marina in Moorebank. Benedict Industries has re-lodged its development application for the marina with Liverpool Council, following the sale of land originally earmarked for a controversial concrete recycling plant in May. The land at Lot 6 Newbridge Rd, previously owned by Moorebank Recyclers, was purchased by EQ Riverside Pty Ltd. It is understood the developer supports a residential development at the site. Moorebank Recyclers had proposed to build a materials recycling facility on Lot 6, adjacent to the proposed marina site, and its application was approved in 2015 by the NSW Planning Assessment Commission. An appeal by the company against the 2016 approval of the marina was upheld in the NSW Land and Environment Court earlier this year, dashing hopes for the $44 million plan to revitalise the Georges River. Benedict Industries co-managing director Ernest Dupere said it was “exactly the same application” as the original. “We’re pretty excited about it and we’ve only had one objector, which is the Moorebank Recyclers, and they’re obviously now gone,” he said. The proposed marina includes tourist, recreational and club facilities and would transform the riverfront into a first-class recreational area. Mr Dupere said the new owner of the land formerly owned by Moorebank Recyclers was “very supportive” of the proposal. Mr Dupere said the marina could potentially service public ferries along the Georges River, proposed recently by Liverpool councillor Karress Rhodes, by serving as a stopping point for provisions such as fuel.